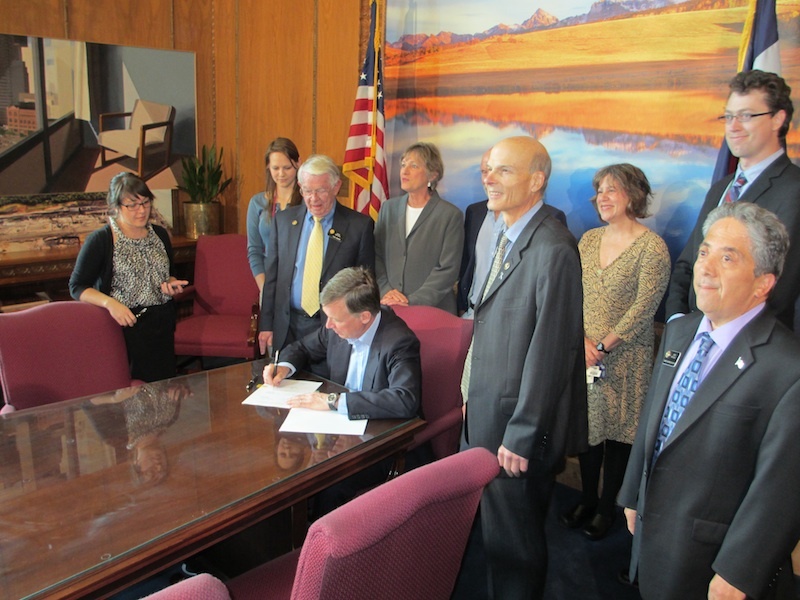 “It’s a Law.” So proclaimed Governor John Hickenlooper after signing HB 12-1144— the enforceable contracts for contingent instructors bill–this afternoon at the State Capitol. 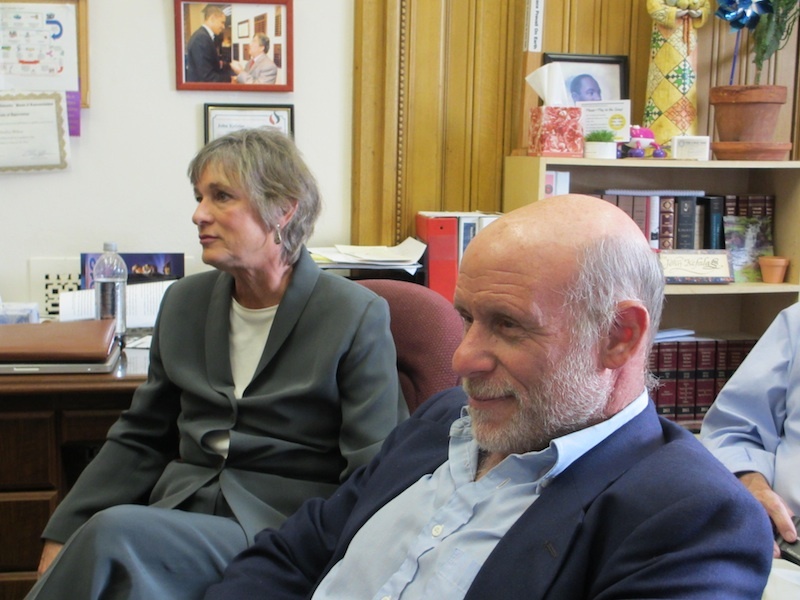 On hand were the bill’s primary sponsor Randy Fischer of Fort Collins, and three tireless champions of faculty rights in Colorado: Suzanne Hudson and Don Eron of CU-Boulder, and Sue Doe of CSU-Fort Collins. 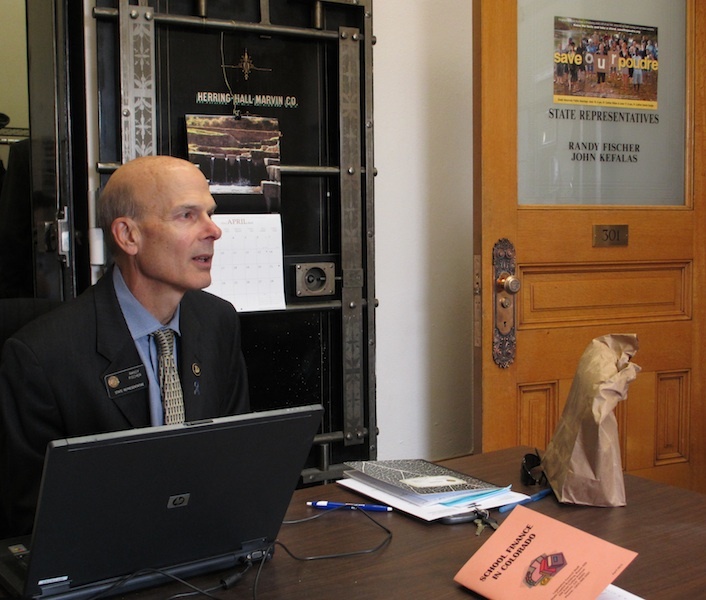 Dean Saitta was in attendance representing the Colorado Conference. 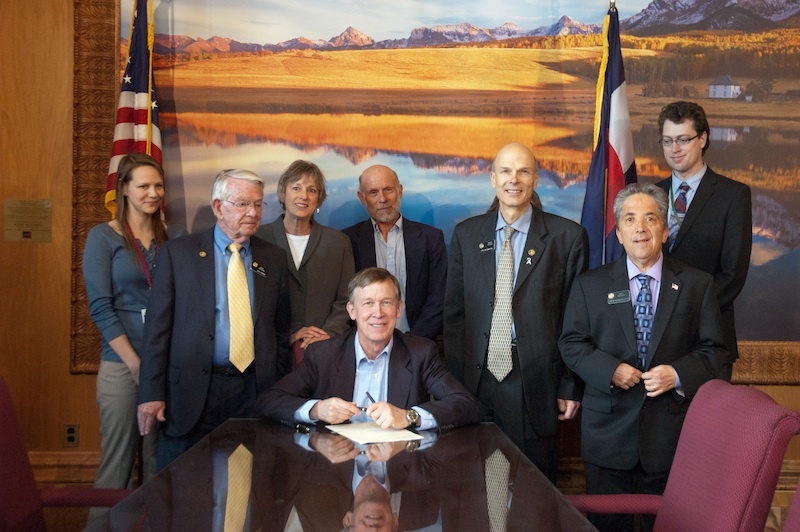 Dean and Steve Mumme, Colorado Conference Co-Presidents, send profuse thanks on behalf of AAUP to Representative Fischer for his energetic and persuasive efforts to support adjunct faculty in Colorado public colleges and universities. Some pictures of the event follow.